the immense influence the Blues has had. But where does the Blues come from ? This is where our workshops begin. 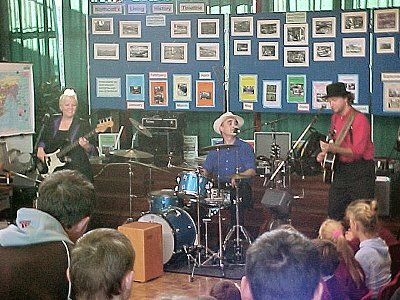 . .
As well as performing workshops at festivals and art centres we’ve been bringing Blues workshops to schools. We provide a wide range of levels to suit all age groups, from infants to GCSE music students, working with their teachers to ensure that each one is pitched at the right level. 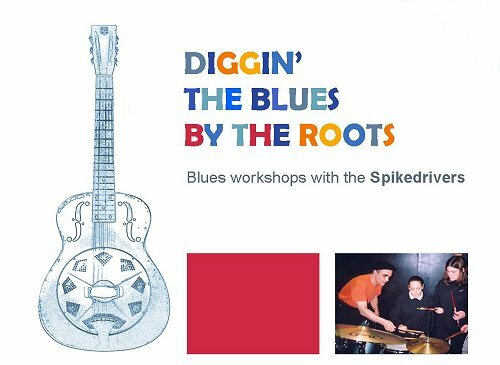 Our workshops start with a brief history of the blues. With the use of archive sound recordings the students can really feel the atmosphere of the past. A chain gang singing as they swing their nine-pound hammers, the contagious beat of the fife and drum music from Northern Mississippi and the powerful sound of a Southern Baptist church in full flow. We discuss the origins of the instruments and, using examples, show how much of early Blues was performed on instruments made from everyday household objects like the washboard. Also how you can make a drum out of a packing crate and how a bit of wire and a plank of wood can become a Diddly- Bow. This is a single string instrument that developed into the slide guitar style, creating a sound that wails and moans like the human voice. You can’t have Blues without rhythm. What is it that makes you want to get up and dance, jump and shout and sway side to side? As a band we demonstrate many of the different rhythms found in Blues. 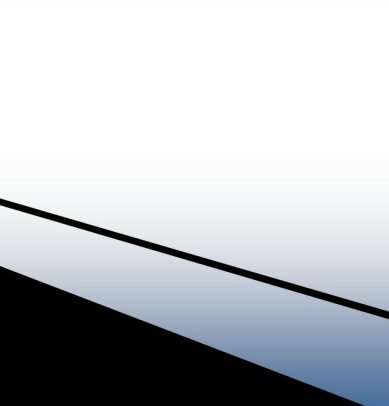 We explain what a shuffle, a two-step and a boogie woogie sound like, and what makes the music swing. As the workshop develops we get the students to participate as much as possible. This ranges from simply clapping along or playing various percussion and train whistles, to singing and playing their own instruments. We also like to have fun creating a song. Using a simple format, we get the pupils to help us write a blues about them. For GCSE music students we ensure that we cover and expand on the curriculum modules, e.g. the AAB song structure. Most importantly we want everybody to get involved, be inspired and have a great time. We know the students will come away with a better understanding of the Blues and an appreciation of how to really listen and create music. Our workshops start with a brief history of the blues. With the use of archive sound recordings the audience can really feel the atmosphere of the past. A chain gang singing as they swing their nine-pound hammers, the contagious beat of the fife and drum music from Northern Mississippi and the powerful sound of a Southern Baptist church in full flow. As the workshop develops we get the audience to participate as much as possible. This ranges from simply clapping along or playing various percussion and train whistles, to singing and playing their own instruments. Most importantly we want everybody to get involved, be inspired and have a great time. We know everyone will come away with a better understanding of the Blues and an appreciation of how to really listen and create music. Our workshops are not only for musicians at all levels but also for music fans and are suitable for all age groups. 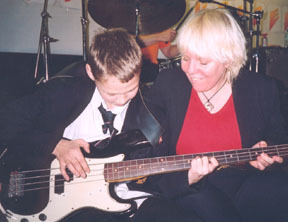 We also provide workshops that specialise in certain areas: Slide and finger picking guitar, bass guitar, drums, percussion, song writing and performance techniques. We charge £600 for up to two one-hour workshops plus accommodation and travel where appropriate. This is negotiable where we are already playing other shows in the area at the time the workshop is required . We are members of the Musician's Union and have Public Liability insurance up to £10,000,000. We provide our own p.a. system and amplification, and all members have been cleared by the CRB (Criminal Records Bureau). Firstly a thank you from me for the day’s activities at Fawbert & Barnard’s. The children really enjoyed the sessions and every time I’ve visited the school recently, all I get asked is when are you visiting again. I am so glad that I opted for an experience day for the children as my leaving gift – it was good to see how much pleasure it gave. Thank you so much for your amazing visit to our primary school today. Your talent, sense of fun, and energy (not to mention the goat's toenails) impressed the children and the staff too. It was lovely to have everyone dancing, clapping, and singing with such enthusiasm to a style of music they were not too familiar with before you performed for them. The kazoos went down well too. Talking to the children and staff briefly today, I have already heard words such as 'fantastic', 'inspirational', 'wicked' (! ), to name but a few. Literally everyone I spoke to about it had a good time and couldn't wait to tell me so. I know the children have learnt lots today, and I have too. 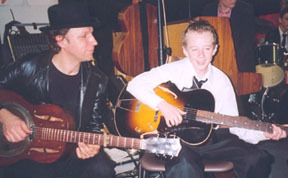 The experience of live musicians will stay with them for a long time as a highlight of their school experiences. Thanks so much to all 3 of you. On behalf of Fernhill School Music Department, I am writing to thank you all for your fantastic Blues Workshop last Wednesday. The feedback from Year 8 and GCSE Music students has been really positive. Your input has certainly enriched our Blues teaching considerably. Hopefully, we will be able to repeat the experience in the next academic year. Good Luck with your future concerts. We would like to thank you very much for your visit to our school on Monday 17th June. We really appreciated the fact that you gave up a whole day to work with us. 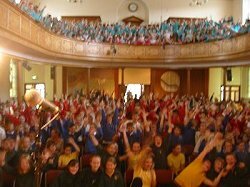 Children in Key stage One and Key stage two enjoyed the experience of seeing and interacting with real musicians. Everyone enjoyed the music and the staff were very impressed by the amount of preparation and thought which had gone into your presentation. You provided opportunities for participation, carefully matched to the ages of the different groups of children and you paced the performance so that the children remained interested and listening throughout. 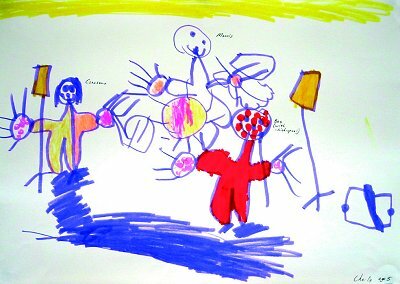 As the enclosed comments and drawing will show, the children reacted in different ways, but all have gained from the experience. We thank you again and wish you every success in the future. Just a note to say thanks for a great concert on Thursday. It was very successful and, although I was not in school on Friday, lots of positive comments filtered back to me. One thing that was exciting for them was that their exposure to live music is very limited and so they did not know what to expect. They are also, by nature, very conservative, and so the kid who listens to, say, heavy metal, cannot tolerate anything else. But that is in the synthetic world of TV, radio and cd. In the world of troubadours and the acrobatics of finger picking everything is something else; everything is real. That was revealing to them. And then the slow understanding that your music was associated with work and play, with real people and different times but that it gave us rise to rock 'n' roll and that that is where much of pop comes from would have meant something. And then, to pump up the rhythm and get the joint jumpin' was too much for any sentient being to resist. If you would be interested in pursuing the school circuit further, I might be able to interest colleagues at some other schools. We would also love to have you back. Perhaps for a slightly different audience - like some of the day students - but I reckon we could fill the house, easy. Anyway, thanks again. It was great, and we really enjoyed having you to visit. 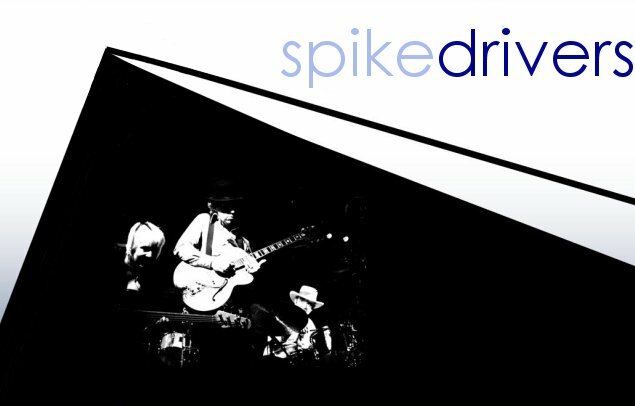 If you ever lay awake at night wondering what goats' toenails would be like to play then The Spikedrivers laid that one to rest. The renowned blues band brought some southern warmth to the Maltings Arts Theatre in St Albans on a dampish November night. The trio sound more like an orchestra owing to the vast amount of percussion instruments they play - including the aforementioned goats toenails. The first half of the gig consisted of a blues workshop which sounds dull but was absolutely fascinating, fun and educational. This trio visit many schools with their workshop and I guess the kids would love them. The group is made up of two Americans - guitar guru, singer and all-round cool dude Ben Tyzack from South Carolina and Constance Redgrave from California, who plays bass, goats toenails and a washboard among many other wild and woolly instruments. Maurice McElroy on drums, vocals and percussion hails from Belfast in Northern Ireland and also talks the audience through much of the history of the blues - fleshing out all the things you thought you knew but only in a skeletal fashion. I never knew why trains were so frequently mentioned in connection with the blues but they were a symbol of freedom to African slaves dropped into a country so huge they had no idea where they were and trains were their only viable means of escape. It was also back to basics with Constance's master-class on clapping. She taught us how to do cool clapping using a backbeat instead of the usual saddo style beloved of the uninitiated. The atmosphere these three conjure up between them is amazing - one minute you're in a smokey, swampy bar in downtown Alabama and the next in Paris, Texas, as Ben's bottleneck guitar-playing brings the haunting soundtrack of that Wim Wenders film to mind. 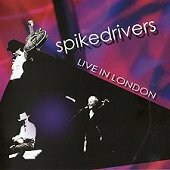 The second half featured many of their own songs as well as some classic blues covers from the likes of Robert Johnson and Willie Brown. So often musos adopt a laid-back, cool pose meant to perhaps enhance their reputations as serious technicians. But I guess smooth operators like The Spikedrivers don't need a mask to hide behind. It's so infectious to see people enjoying what they do. They got the audience singing, clapping and even dancing at the end. Blues aficionado Bob Ayre deserves a big vote of thanks for laying on these bi-monthly Shades of Blues nights. In the meantime the next treat Bob has lined up for us on January 20 is the legendary Nine Below Zero so clear your diaries now.